Front left side of home before construction. 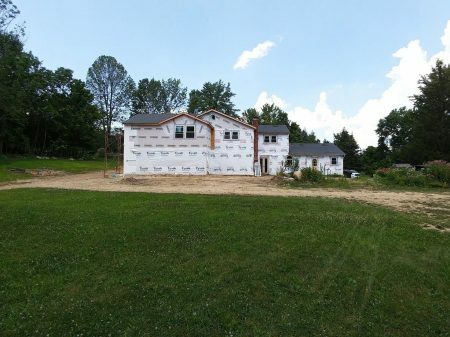 Rear left side of home before construction. 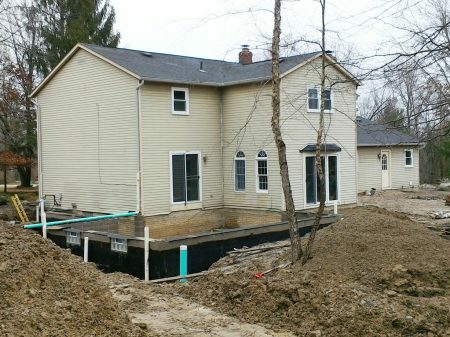 Rear of home before construction. 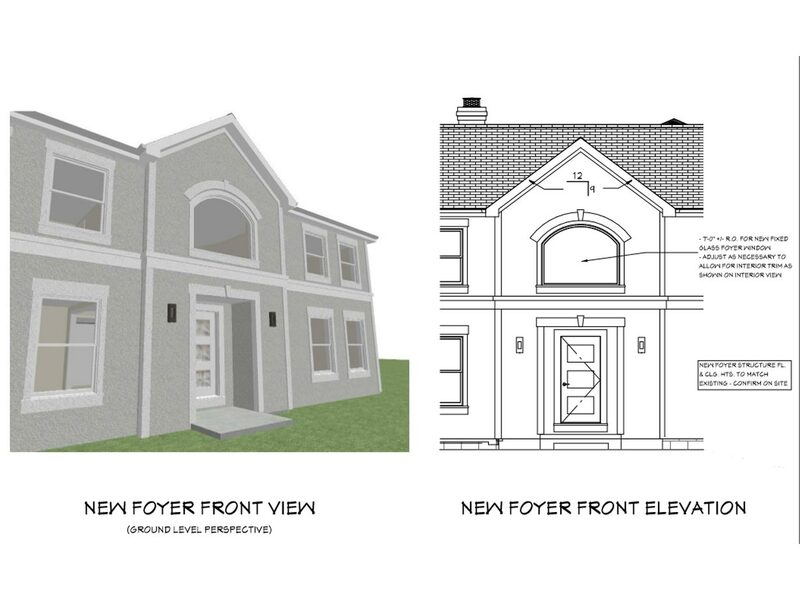 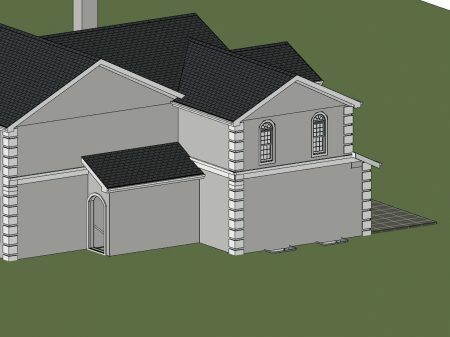 3D rendering front of home. 15% complete – Front right side of home addition basement construction. 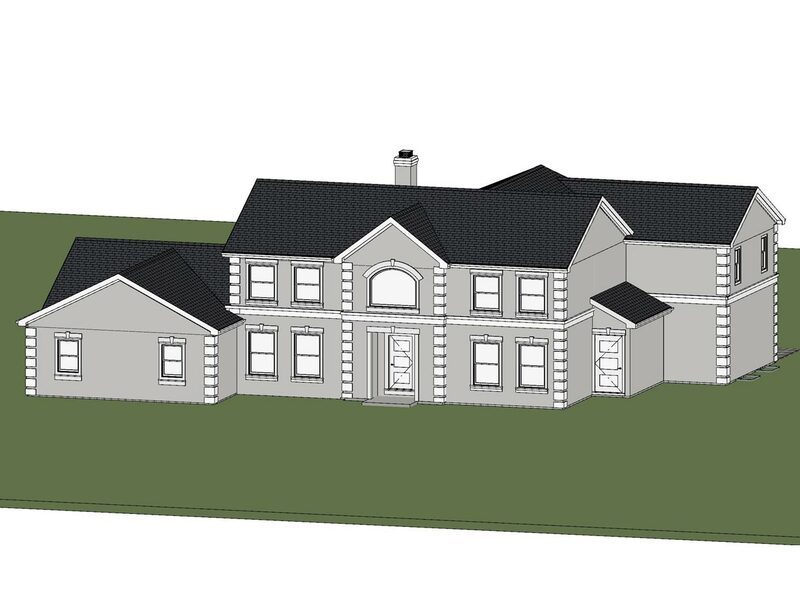 3D rendering right side of home showcasing the addition. 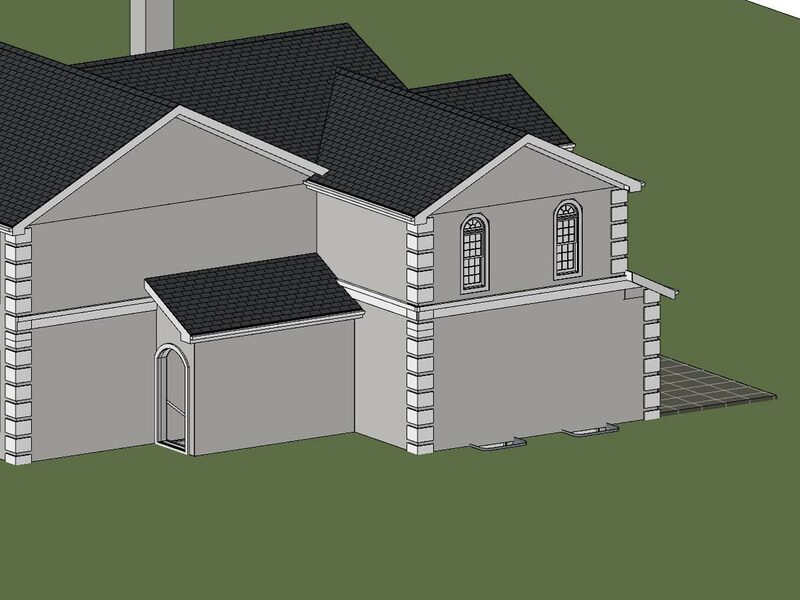 3D rendering rear of home showcasing the addition. 15% complete – Right side of home addition basement construction. 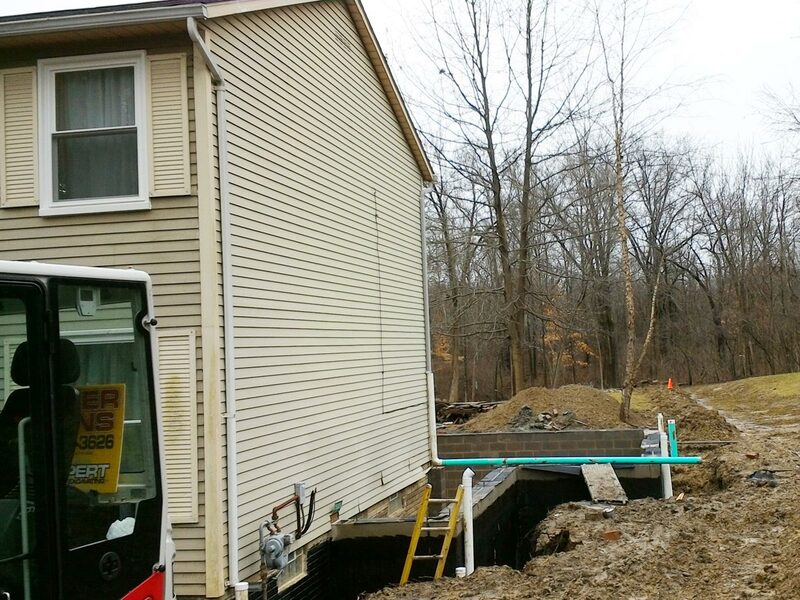 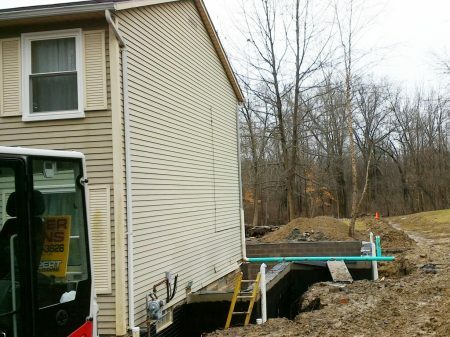 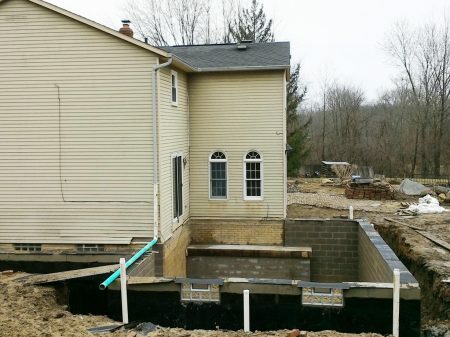 15% complete – Rear left side of home addition basement construction. 3D rendering & details of new foyer. 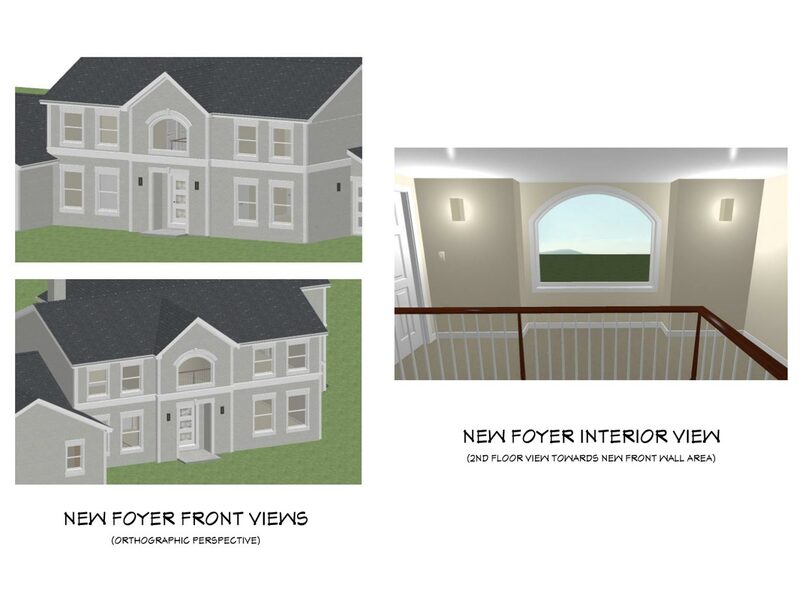 3D rendering exterior & interior views of new foyer. 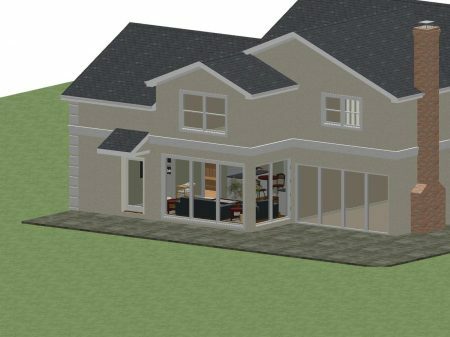 3D virtual realistic rendering of the rear addition exterior. 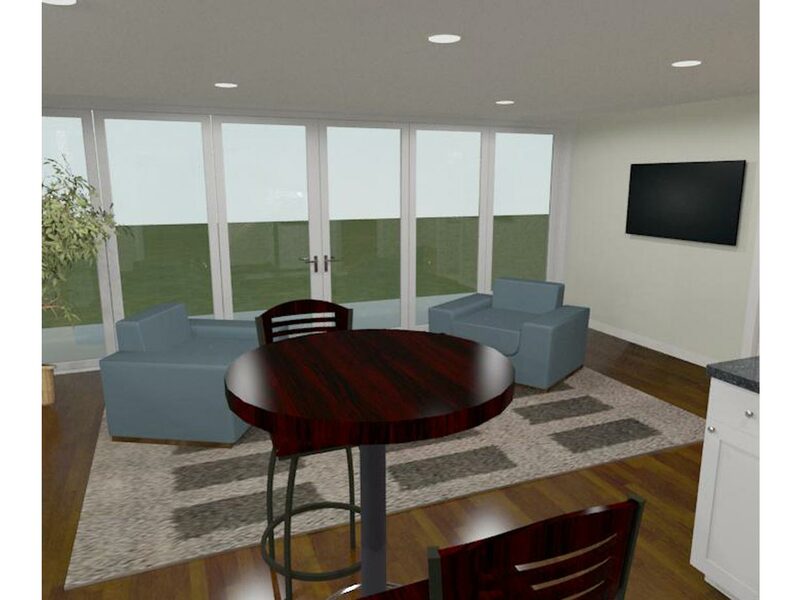 3D virtual realistic rendering interior of addition – New rec. room. 3D virtual realistic rendering addition interior – New full bathroom shower. 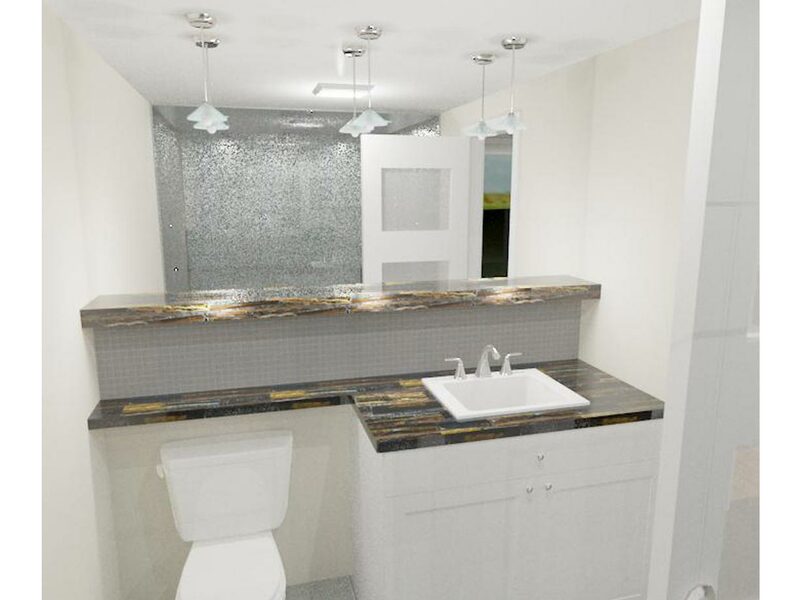 3D virtual realistic rendering addition interior – New full bathroom. 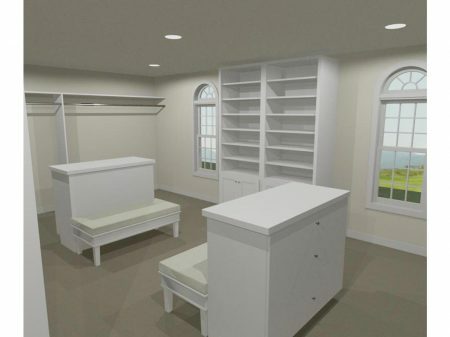 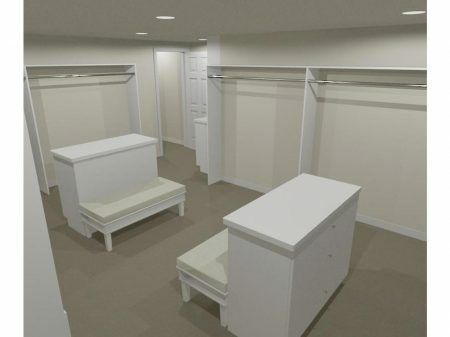 3D virtual realistic rendering addition interior – New master walk-in closet. 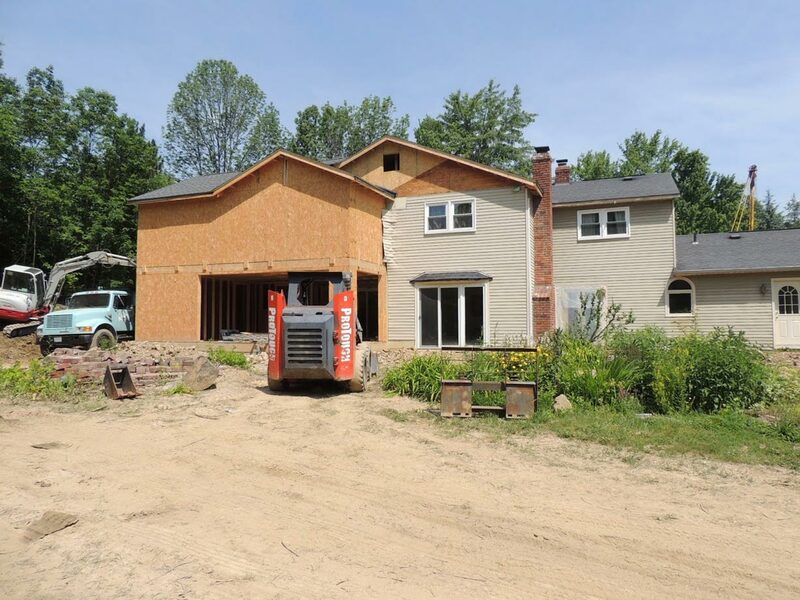 20% complete – Rear addition – 1st & 2nd floor construction. 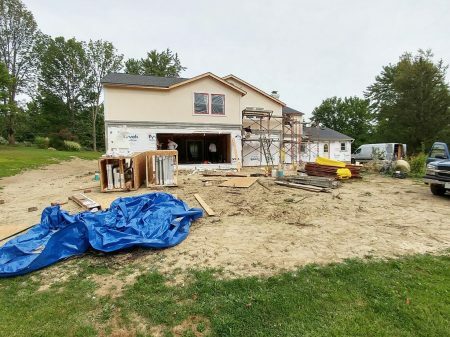 30% complete – Right side of home – Addition construction. 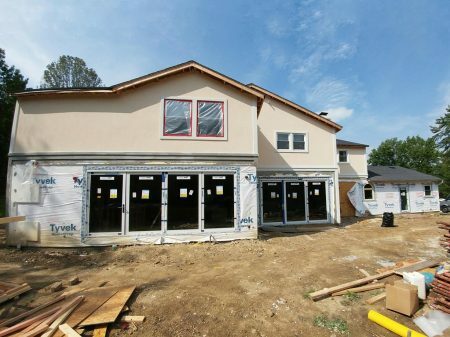 40% complete – Rear of home – Addition construction. 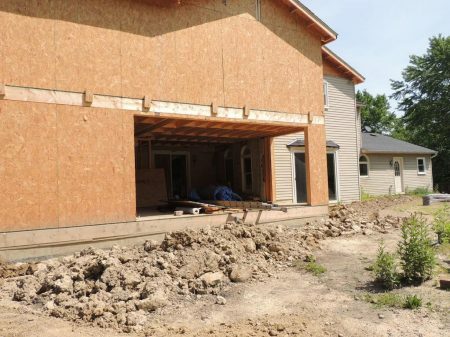 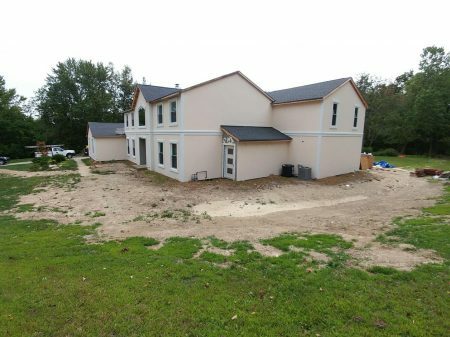 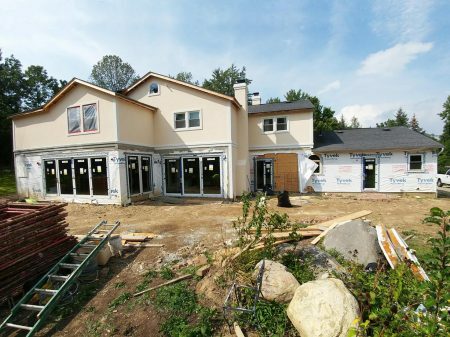 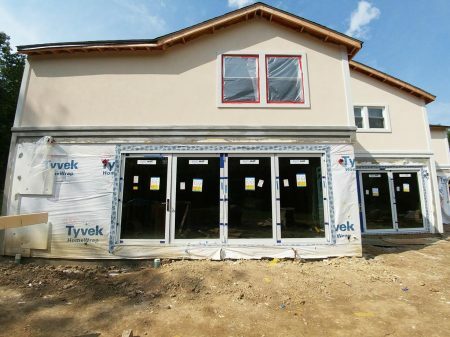 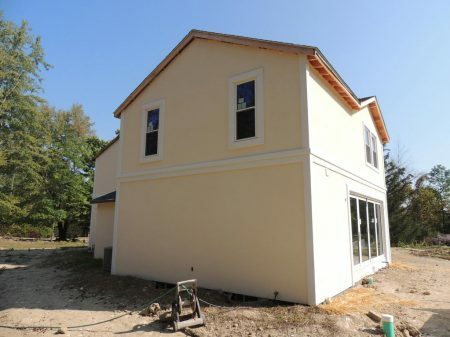 30% complete – Rear of home – Addition construction. 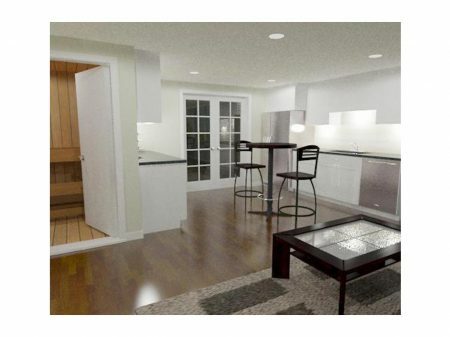 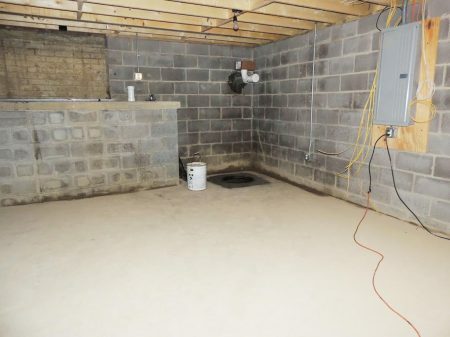 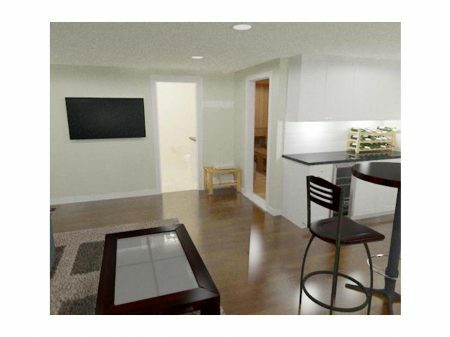 Walk-out Basement – Future in-home office & in-home microbrewery. 50% Complete – Front left side of home – New siding construction. 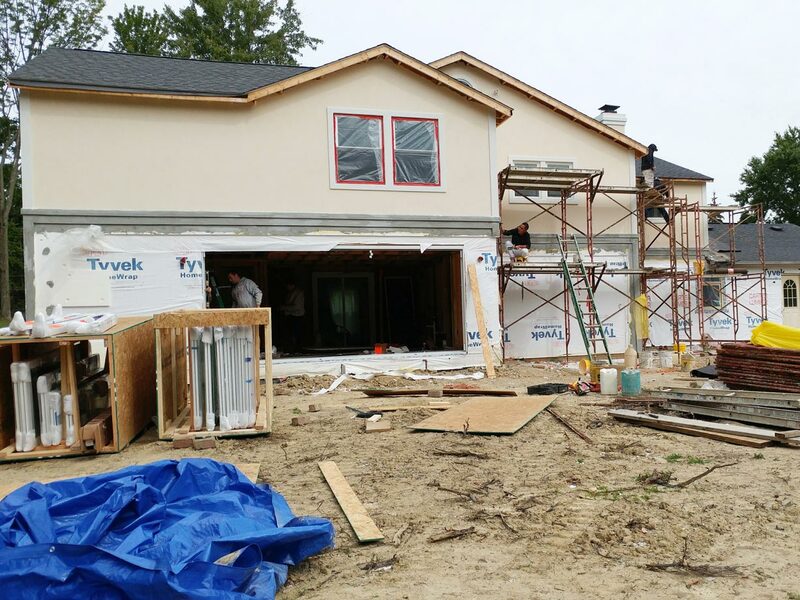 50% Complete – Front of home – New foyer & new siding construction. 55% Complete – Front of home – New foyer & new siding construction. 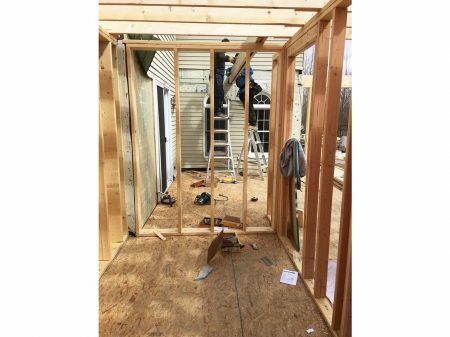 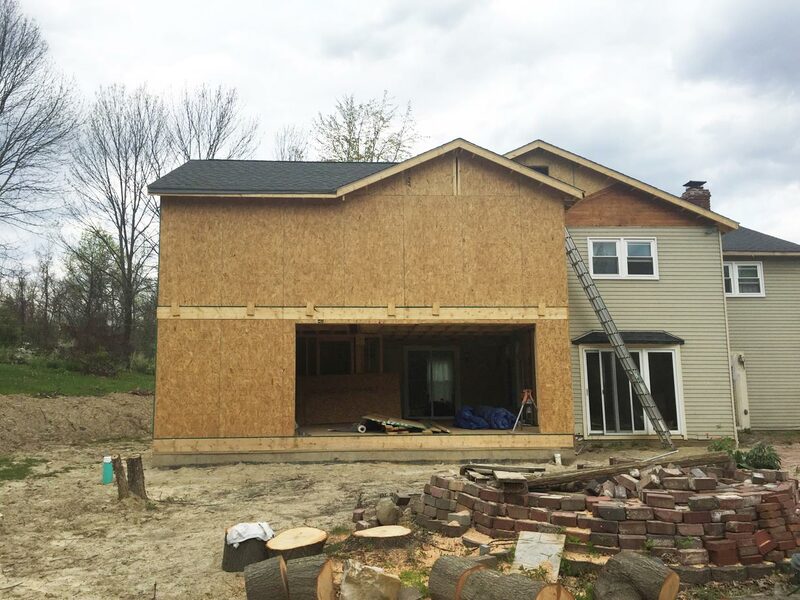 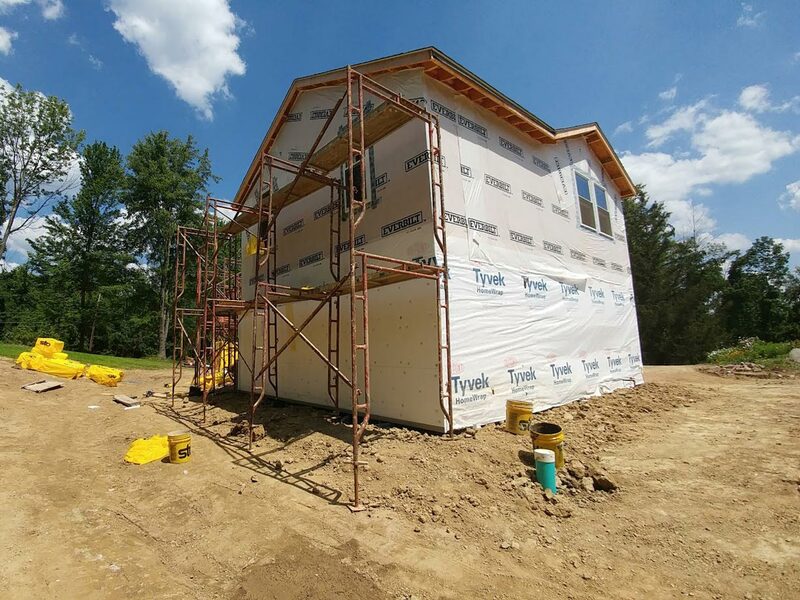 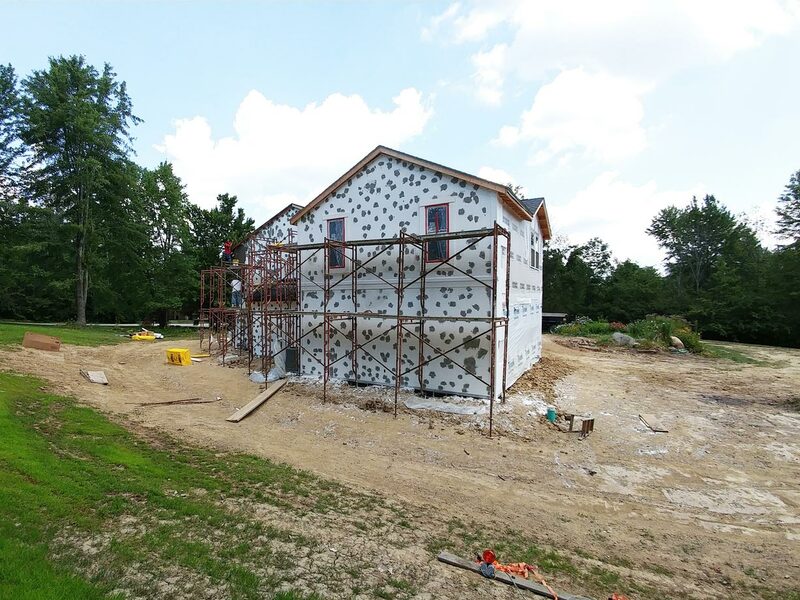 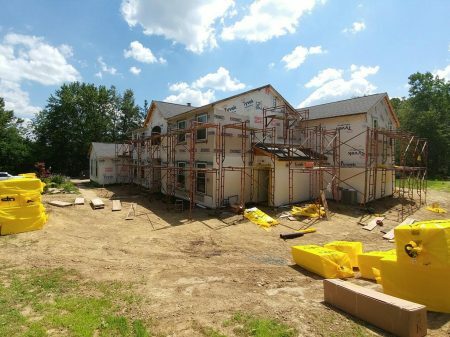 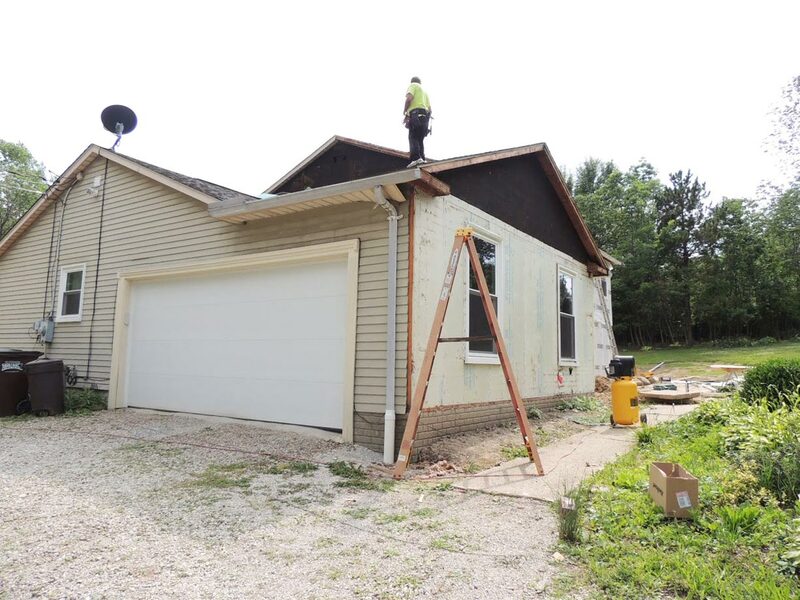 60% Complete – Rear of home – Addition & new siding construction. 30% complete – Walk-out Basement – Addition construction. 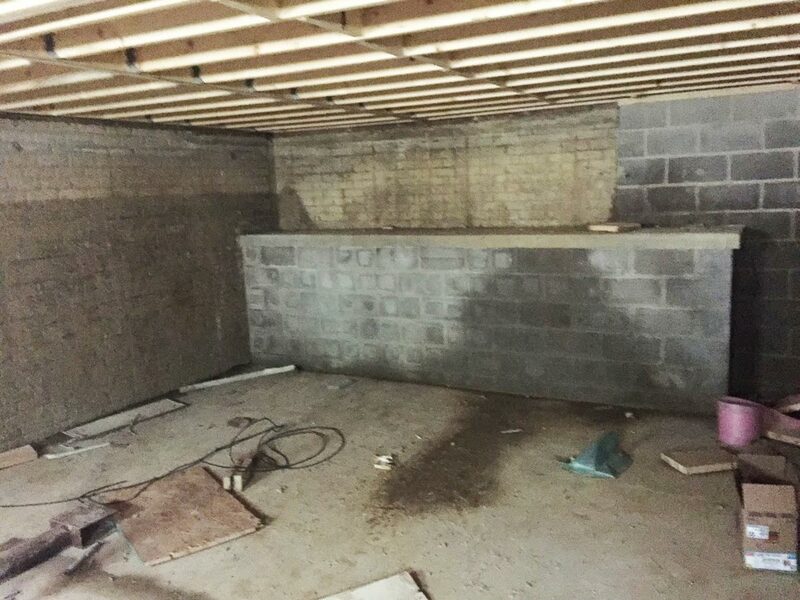 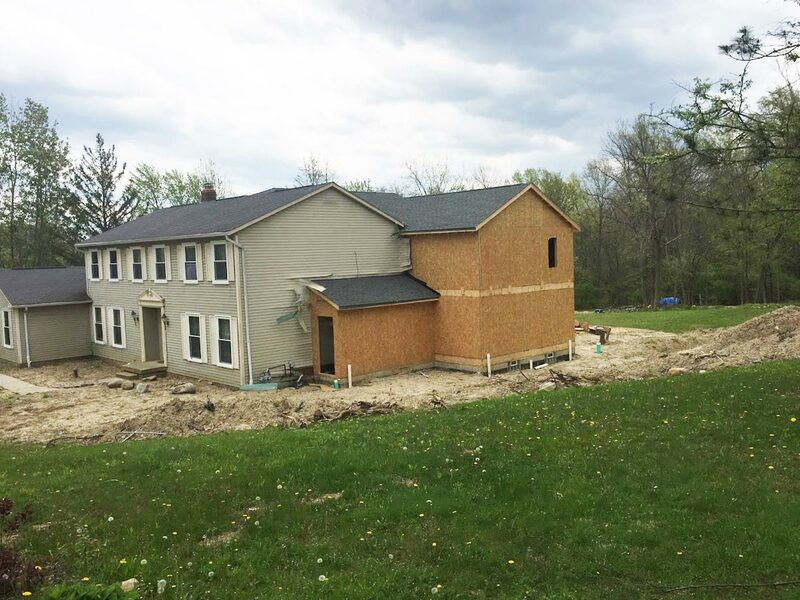 30% complete – Basement Addition – Future in-home office & microbrewery. 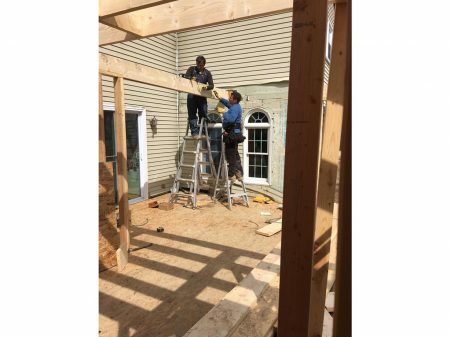 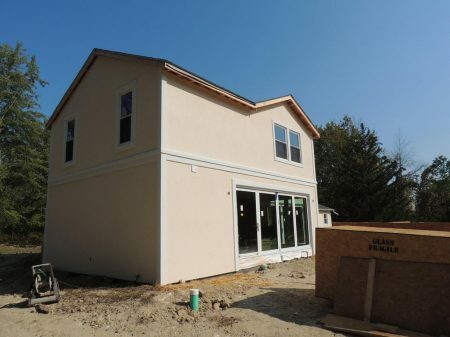 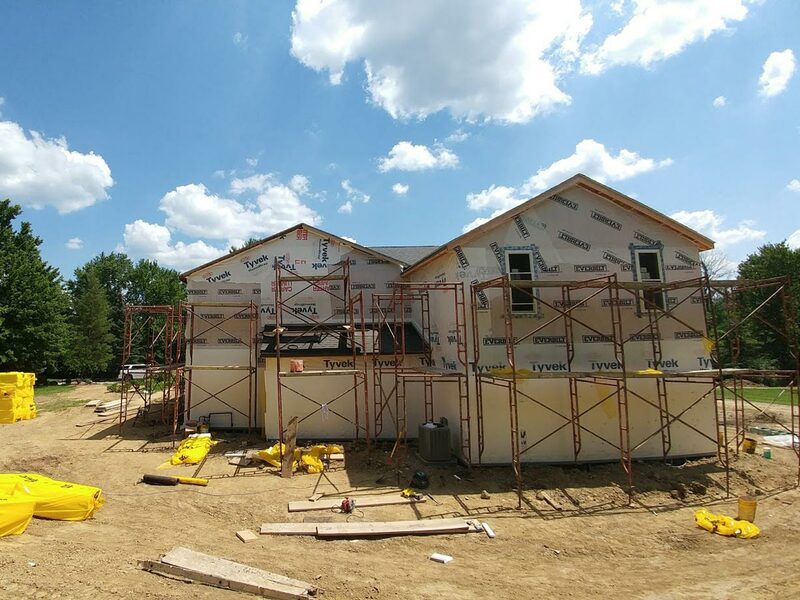 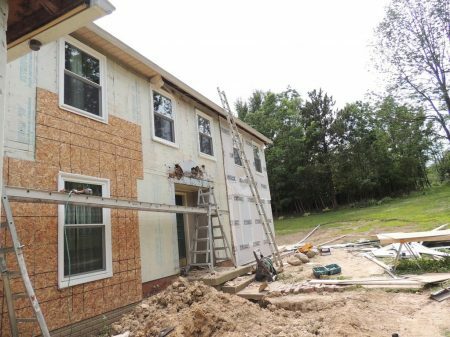 65% Complete – Right side of home – Addition & new siding construction. 65% Complete – Front right side of home – Addition & new siding construction. 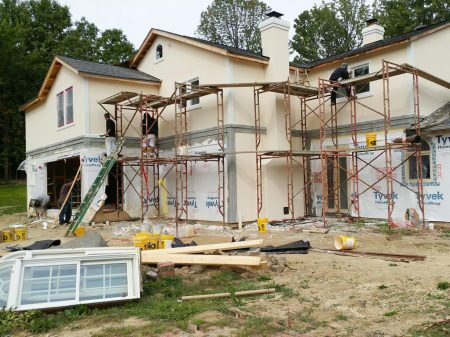 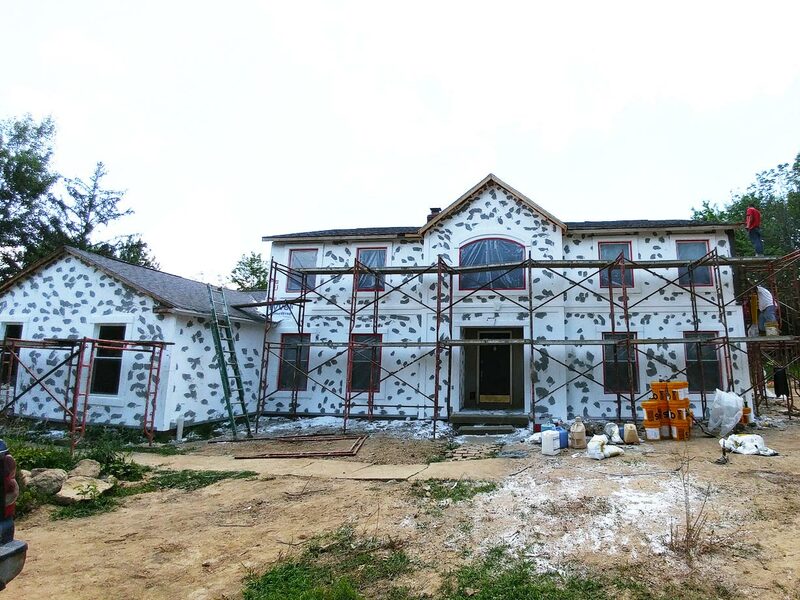 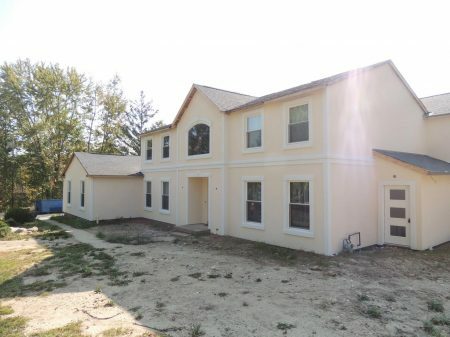 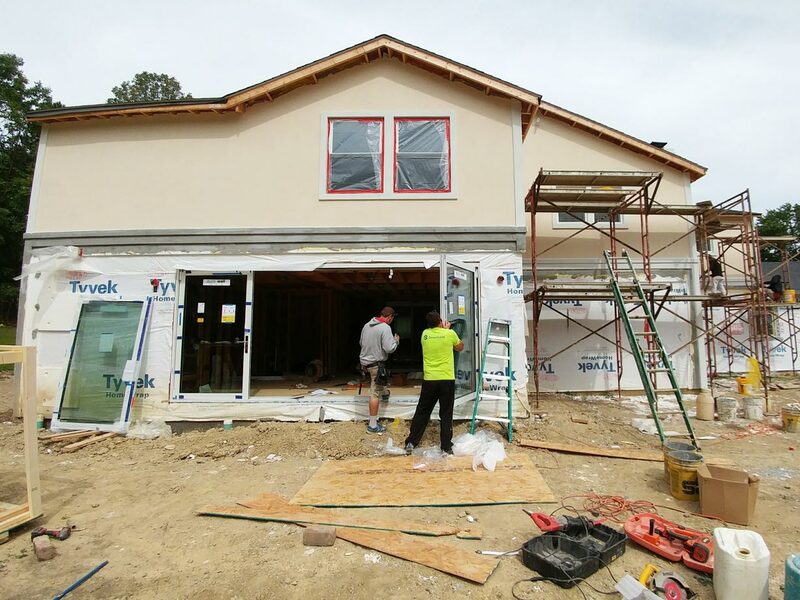 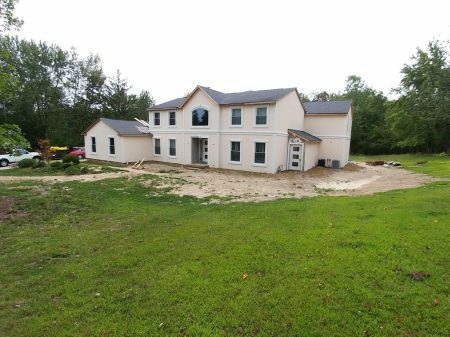 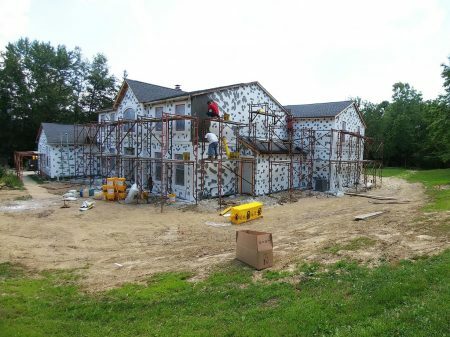 65% Complete – Front of home – Addition & new siding construction. 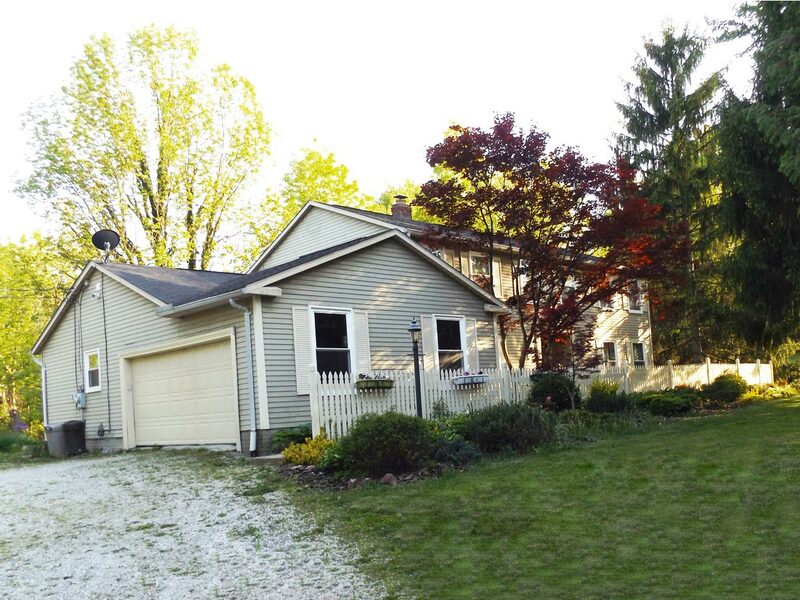 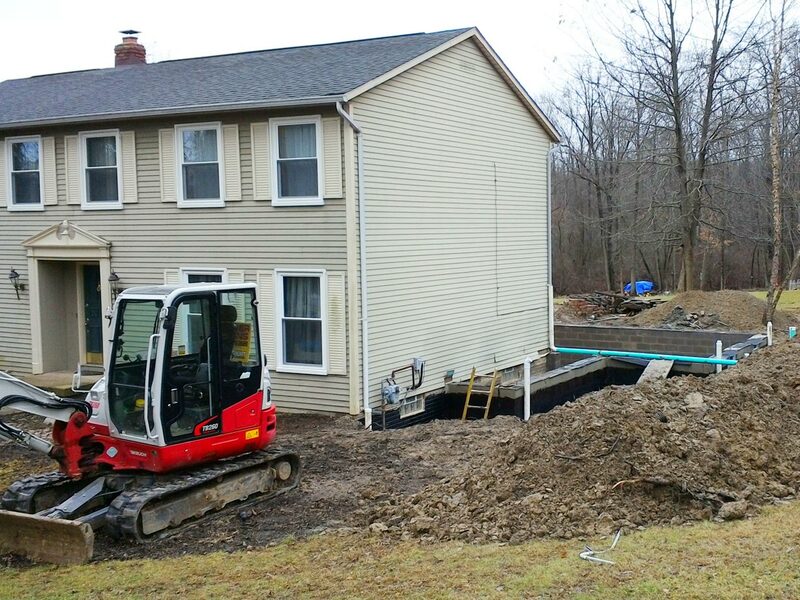 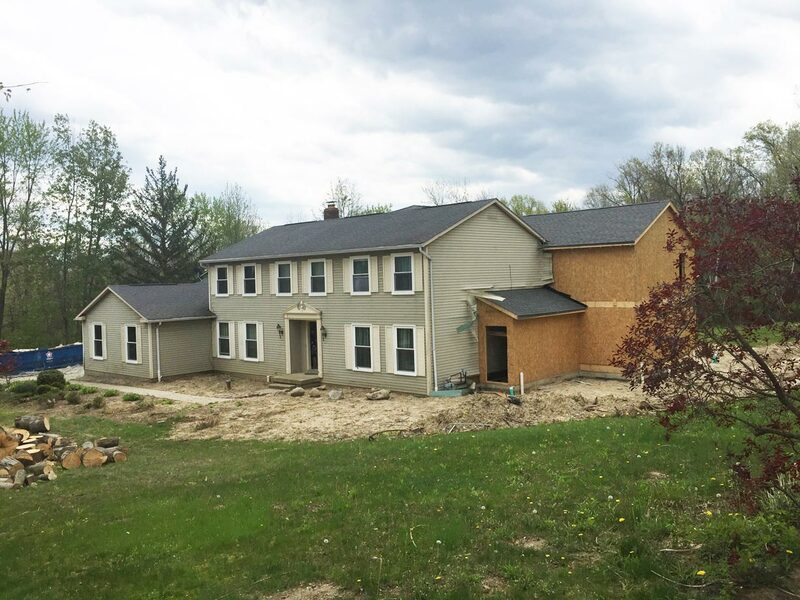 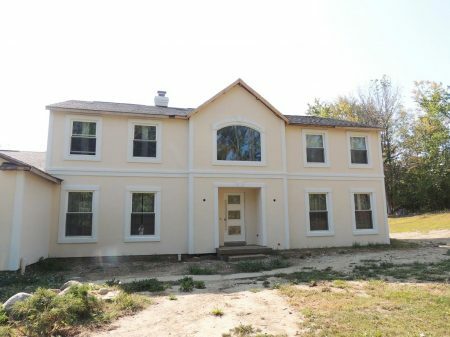 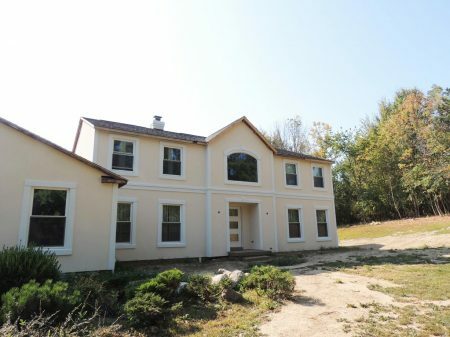 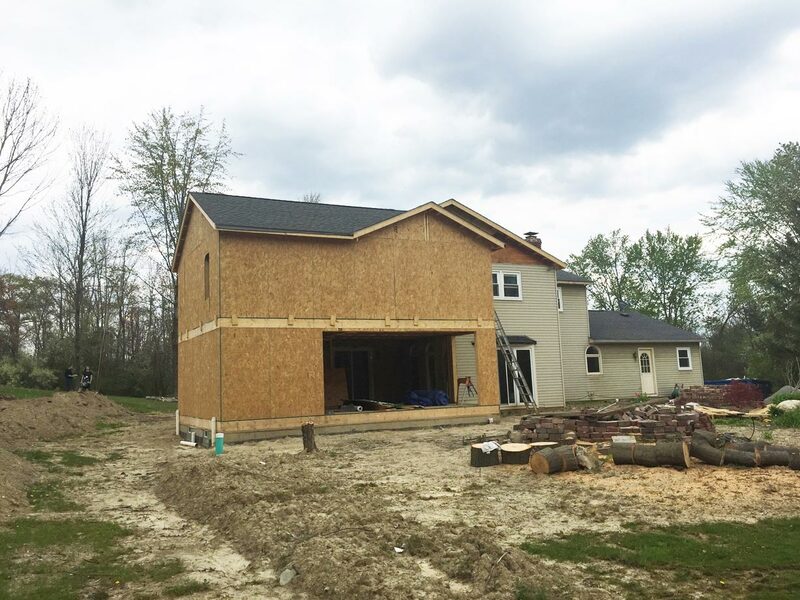 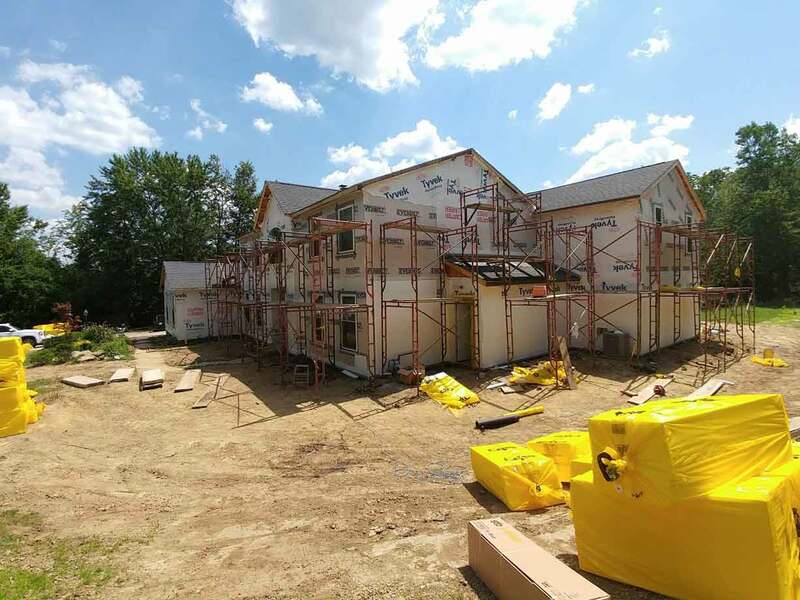 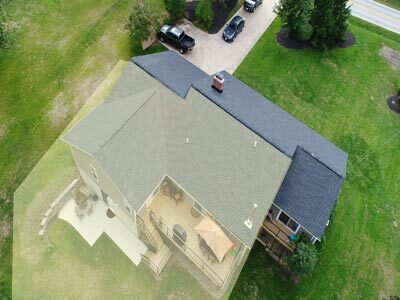 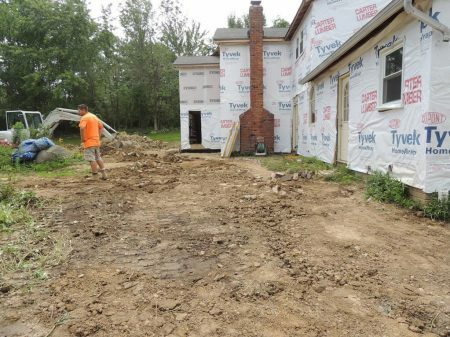 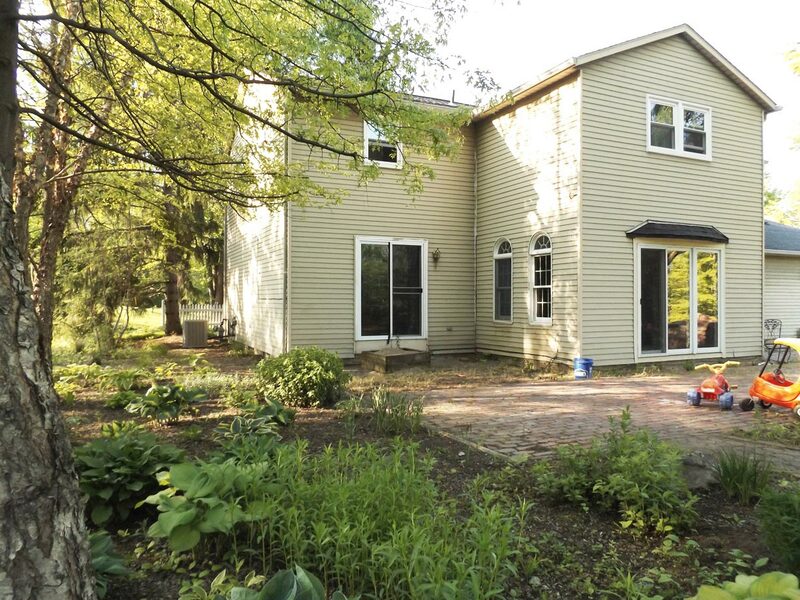 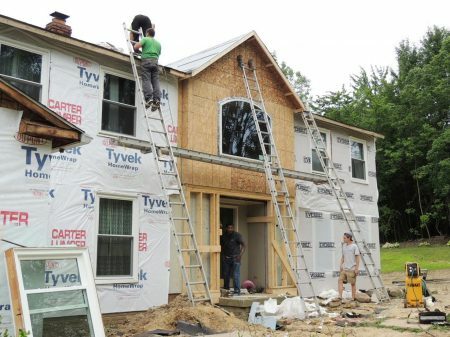 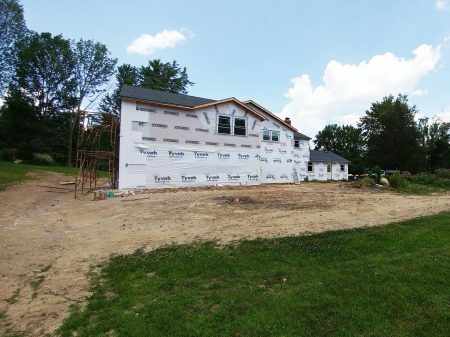 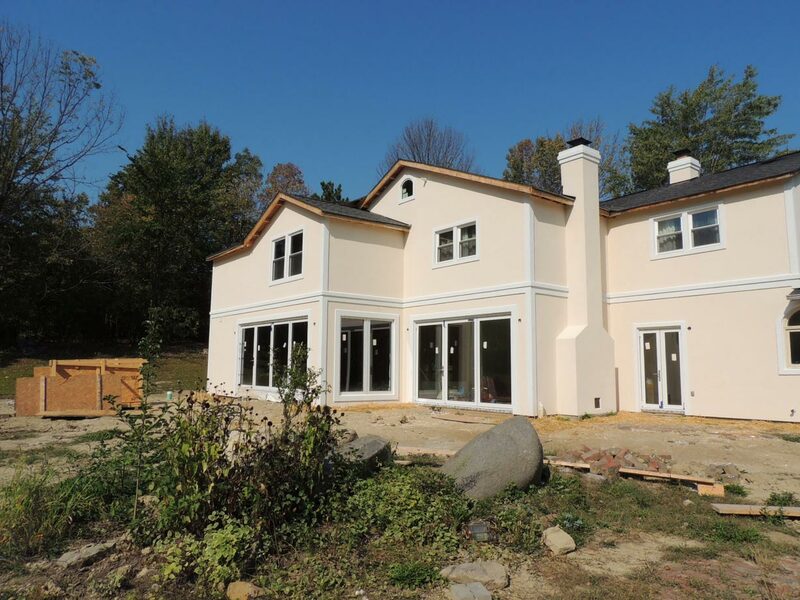 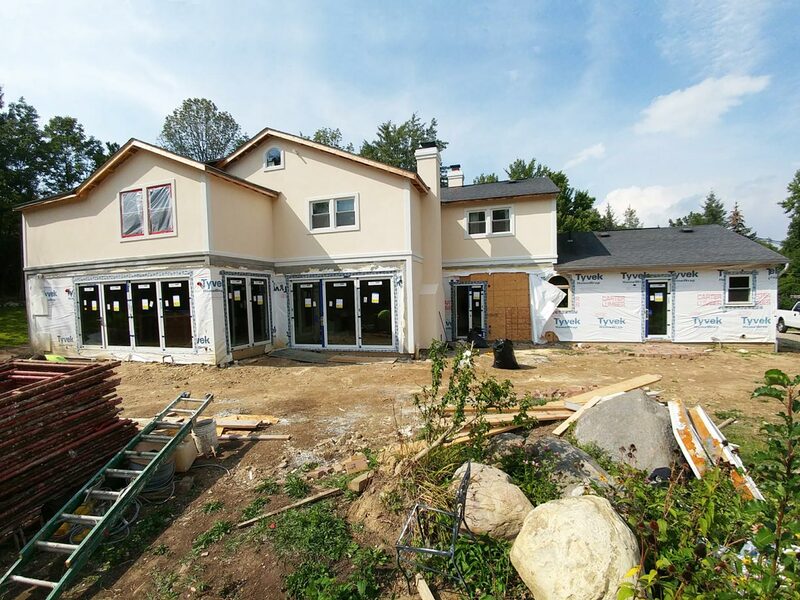 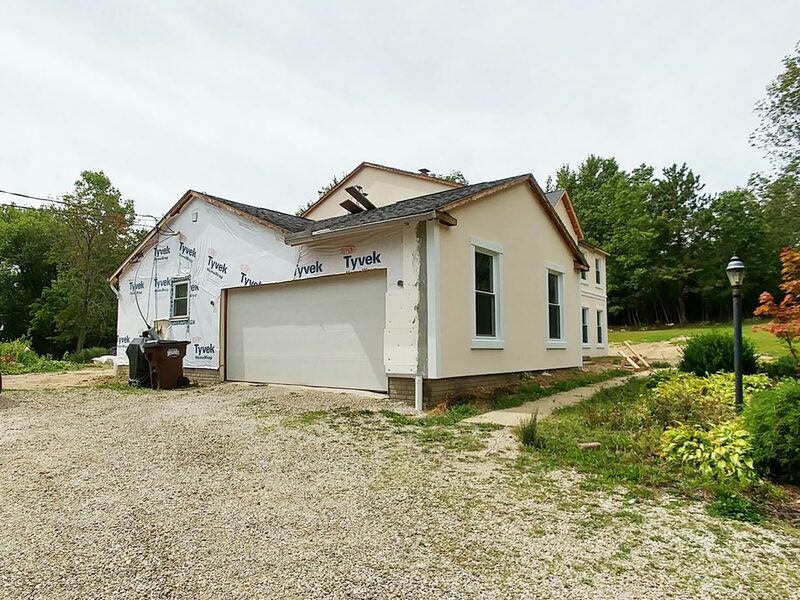 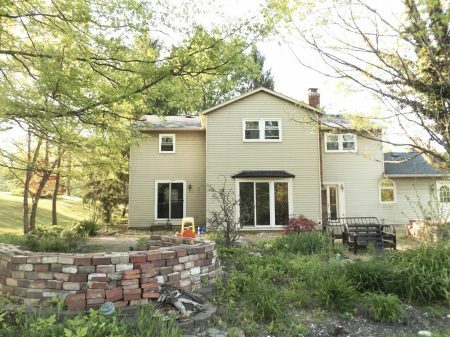 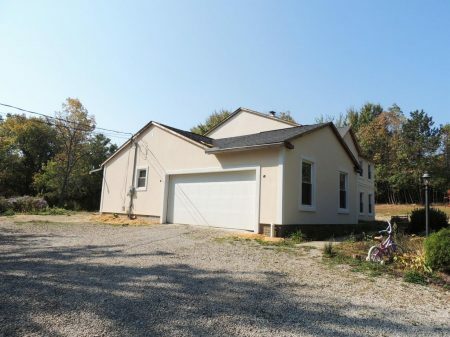 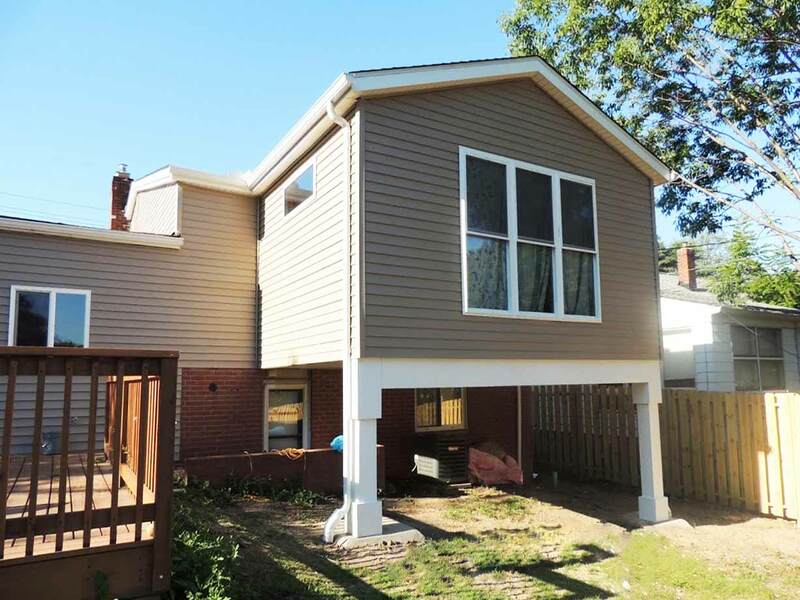 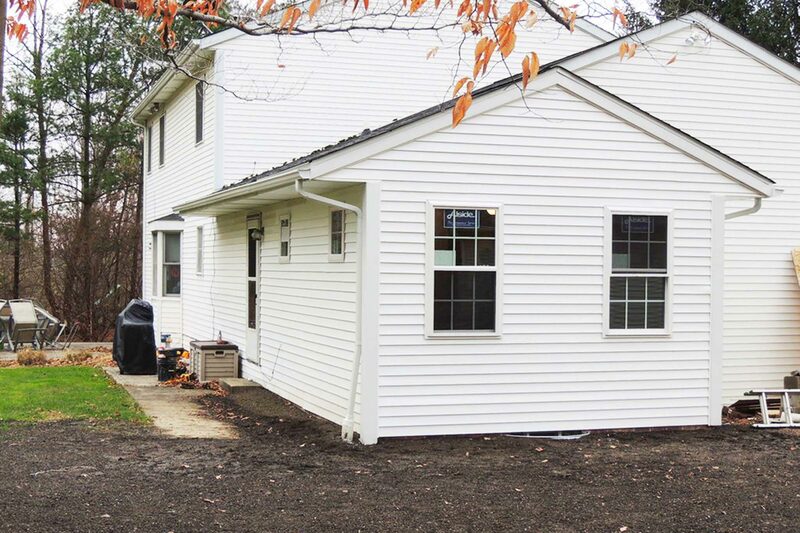 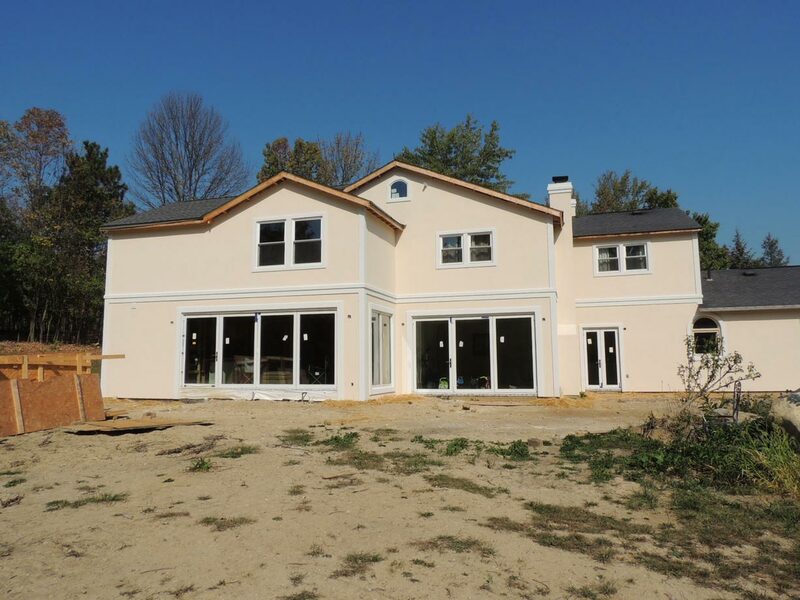 New two-story, 1,545 square foot (total) home addition project in Richfield, Ohio. 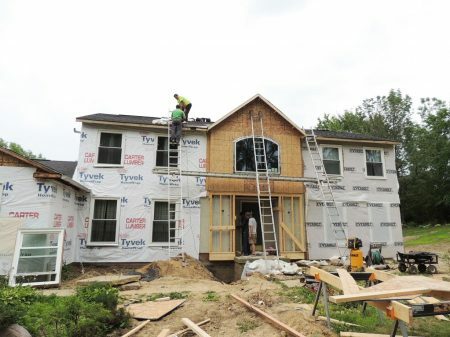 The two-story addition is being added to the right rear area of the house. 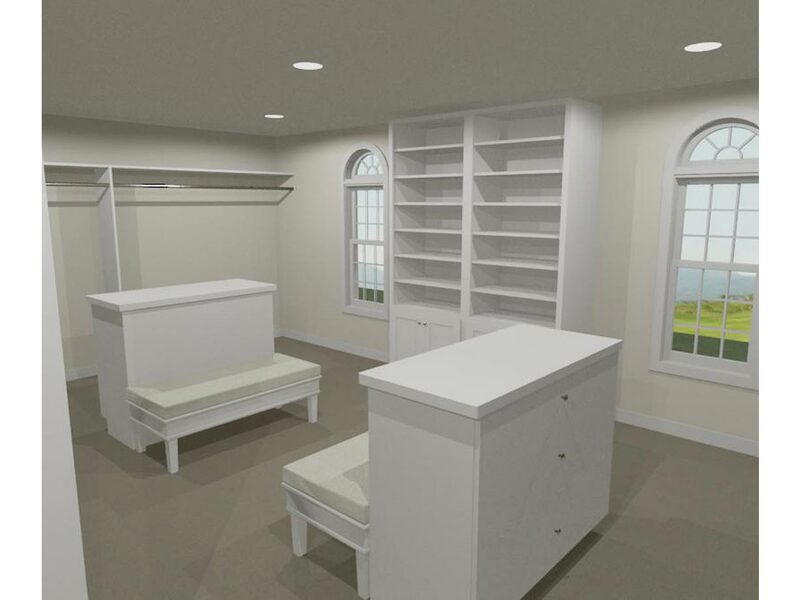 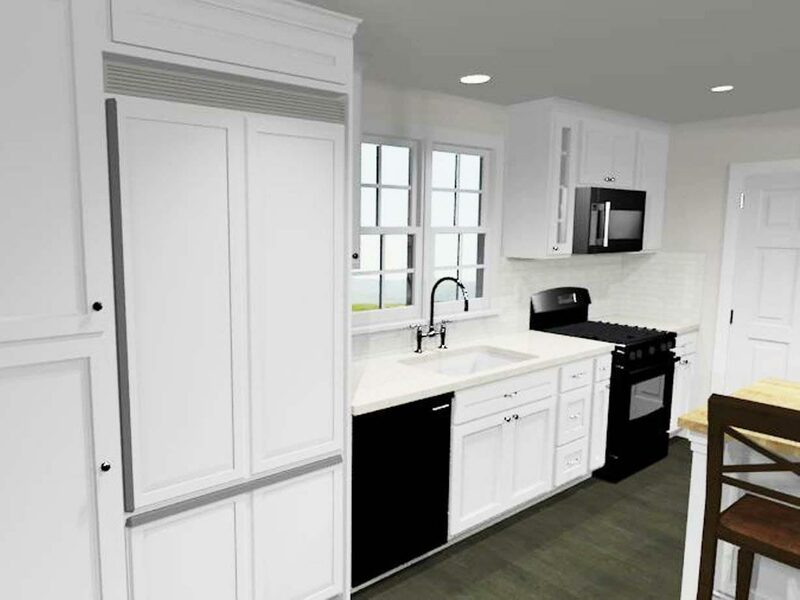 1st floor of the addition will add 560 square feet of living space and will feature a kitchenette area, rec. 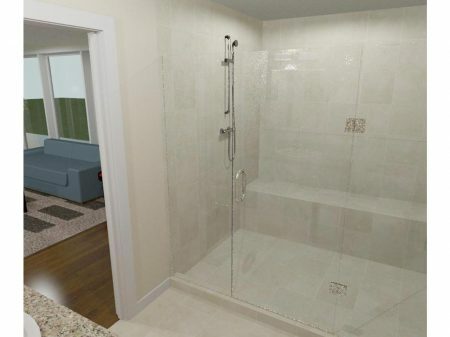 room area, a large cedar wood sauna and a full bathroom with a custom tile and glass steam shower. 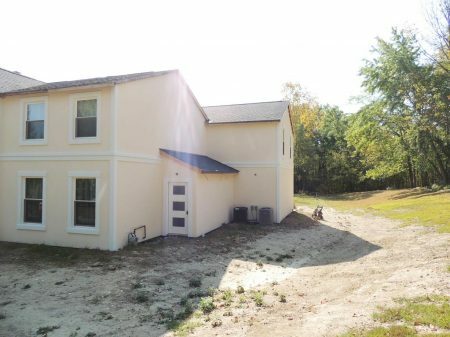 The rear of the rec. room features a custom retractable folding glass EuroWall and door system, full height 16 foot wide, leading to the new seamless stamped concrete patio and a new fire pit in the rear yard. 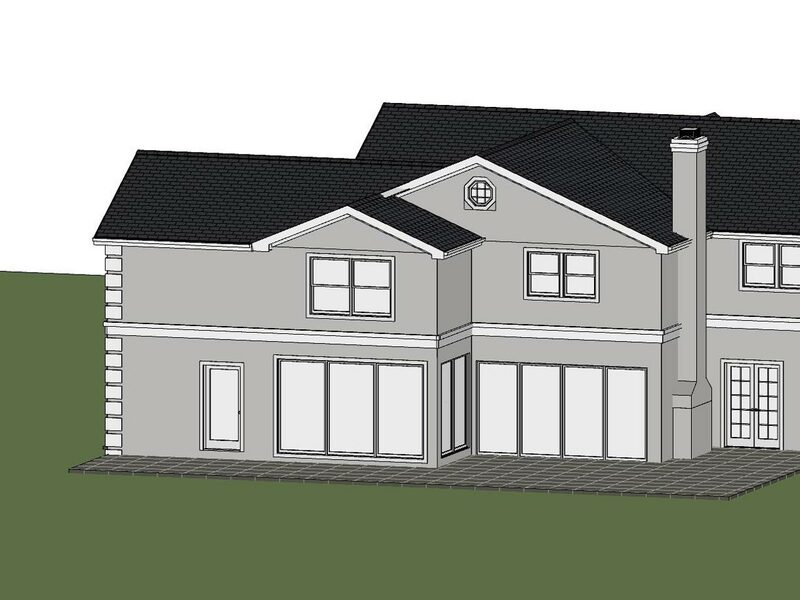 2nd floor of the addition will add another 560 square feet of living space and will feature a brand new 5th avenue-boutique style master walk-in closet attached to the existing master bedroom as well as adding a new separate bedroom with its own walk-in closet. 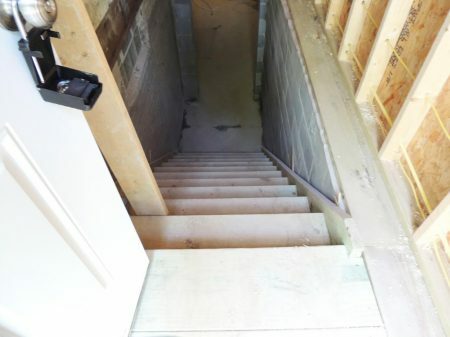 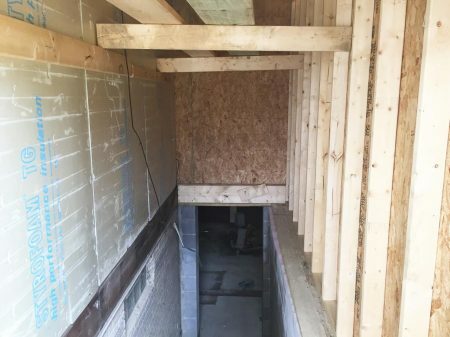 The full basement area of the addition has a separate front walk-in entrance with a stairwell and adds another 425 square feet of living space which will feature a future in-home office and an in-home microbrewery. 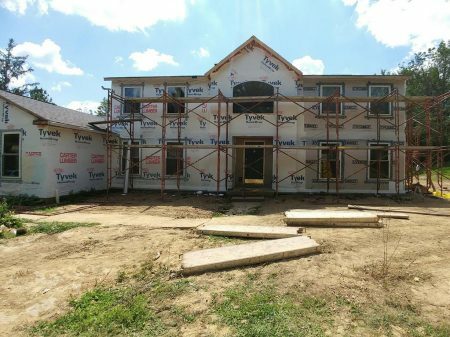 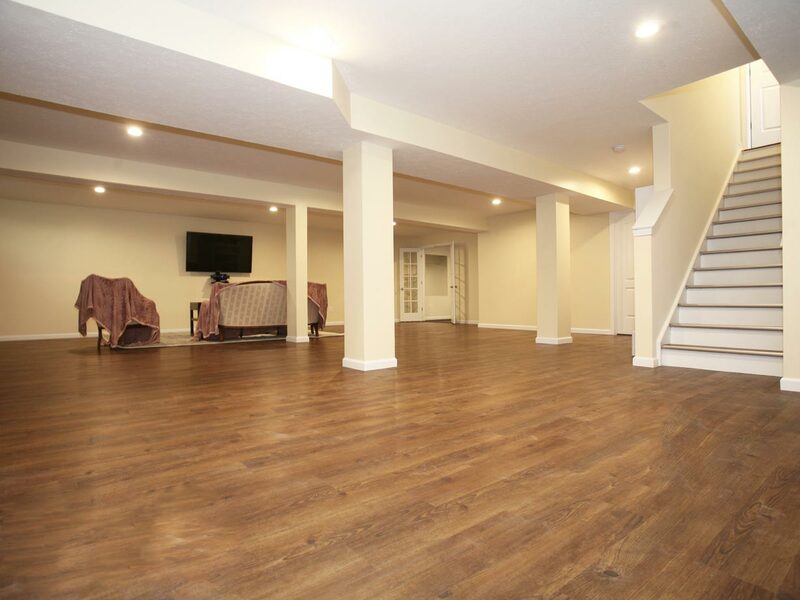 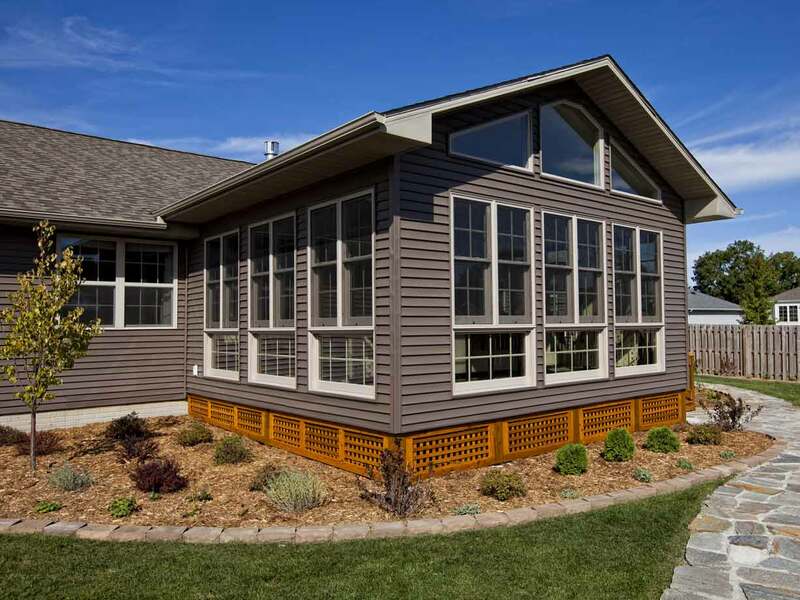 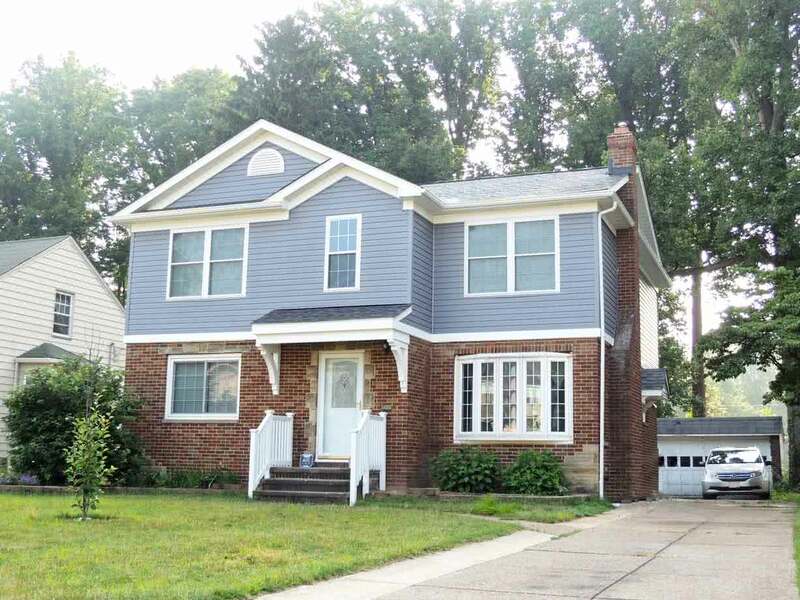 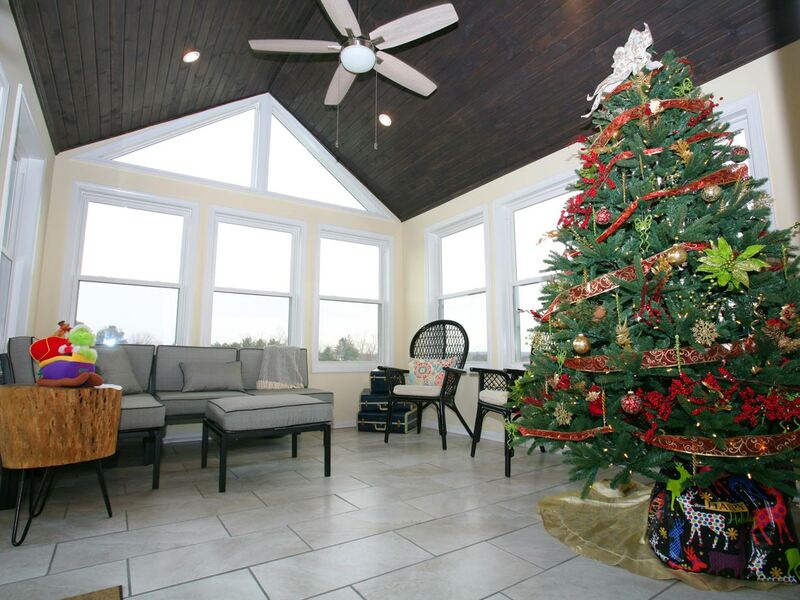 Various additional enhancements include: interior door replacement, newly remodeled exterior of the front foyer entrance, European style stretch ceiling in an existing family room, and new stucco siding and trim around the entire house.